Saturday 11th Nov., 10-5 pm at St James’ Church Hall, St James’ Avenue, Elmers End, Beckenham, Kent BR3 4HF. Sunday 12 Nov. 11-5 pm at St James’ Church Hall, St James’ Avenue, Elmers End, Beckenham, Kent BR3 4HF. Jorgen will be teaching the beautiful and exciting choreographies of the Danish dancing masters. Come along for a very special experience. 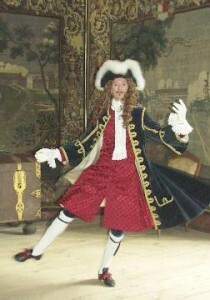 The course is suitable for dancers with some experience of 18th century steps. For information and to book, contact Hazel Dennison by telephone at 01234 401863 or by email at hazel.dennison@ntlworld.com.